Chocolate chip cookie | All about food. Some people prefer their chocolate chip cookies to be soft and chewy, while some prefer it to be hard and crispy. But this recipe I’m sharing is between both worlds, seriously :D Provided if you do not over bake them or under bake them. 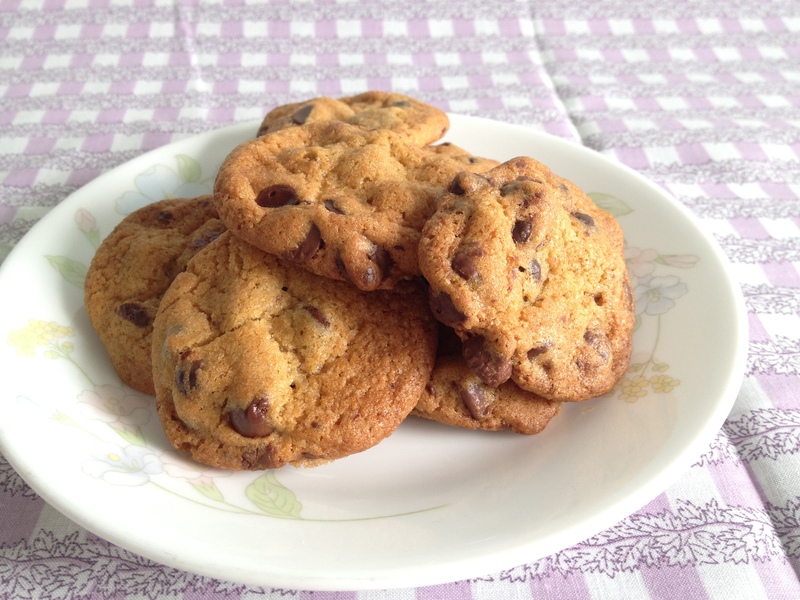 It all started with me craving for chocolate chip cookies so I went to search for various recipes, intending to try them out week by week, to get the perfect one.However upon baking my first recipe, I’ve already found my favourite. 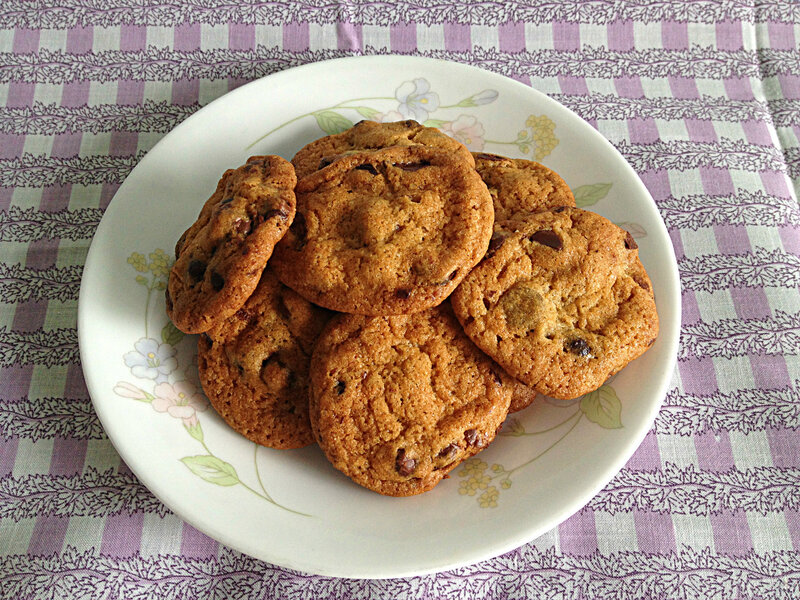 This chocolate chip cookie is hard and crispy on its sides but chewy in the center. It is not VERY soft, but soft enough for the cookie to be chewy. Sift flour, baking soda and baking powder in a bowl. Mix dry mixture until well combined, set aside. Cream butter and both sugars for around 3 minutes, or until pale brown and fluffy. Add in egg and vanilla extract. Continue beating for 1 to 2 minutes. Batter should remain cream-like texture. Mix in flour mixture in 3 additions until just combined. A bit of flour pockets is fine. Lastly, add in the chocolate chips. Do not over mix the dough. Place dough in plastic wrap and refrigerate for at least 12 hours. Bake for exactly 11 minutes 30 seconds in oven temperature of 350F/177C. There you go, the awesome recipe. If you intend to keep the dough for a few days, I will suggest storing it in the freezer compartment. When you are ready to bake, thaw it for 1/2 to 1 hour. Please take a look at the original website for pictures regarding the steps. Enjoy!